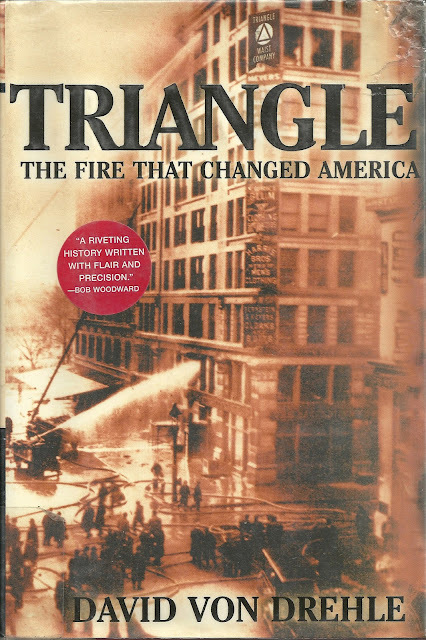 In Part 3, I told the story of the Triangle Shirtwaist Factory fire in NYC. The building where more than 146 people died in 1911 is now a biology lab at New York University. From the 1880’s to the 1920’s textile manufacturing sweatshops were fueled by immigrants from southern and eastern Europe. Following the Triangle fire reforms were passed, immigrations laws were tightened and labor unions grew powerful. In the 1950’s there were more than 275,000 garment workers in NYC alone and they earned about the same salary as an auto worker. By 1996, there were only 70,000 , most not making minimum wage. This was a result of mass market garment production moving to the low range work forces of Asia and Latin America. If a US company wanted to compete it had to lower labor costs (the return of the sweatshop). Outsourcing textile manufacturing has made some foreign manufacturers very, very wealthy. According to the World Trade Organization the top 10 clothing exporters in 2011 were: China with $153.8 billion, Italy with $23.3 b, Bangladesh with $19.9 b, Germany, India, Turkey. Vietnam, France, Spain and Belgium trailing. Today, Bangladesh is the second largest exporter after China. The safety rating in these countries is approaching abysmal. In 2012 , two factory fires in Karachi, Pakistan killed more than 283 workers. Again, there were locked doors, barred windows and lack of safety equipment. A fire in a factory owned by Tazreen Fashions LTD in Bangladesh killed 112 workers in a building with no fire exits. One of the worst disasters was the collapse of the RANA Plaza, Dhakar, Bangladesh, which killed over 1,100 workers on April 24, 2013. As a result of the RANA catastrophe a five year accord was signed by major European retailers for the infusion of funds for renovations making factories safe and independent inspections.. The problem is that the standards of the Accord and Alliance are deemed unrealistic by Bangladesh. According to the vice president of the Bangladesh Manufacturers and Exporters Assoc. “it is unfair for the retailers to demand European factory standards when they are paying Bangladeshi prices for the clothes they are buying”. An engineer advising the government stated that most of the factories will fail the inspections and new factories would have to be built. Major US retailers are pursuing similar programs. September 19, is International Talk Like a Pirate Day. I suppose it is no more unusual than days dedicated to librarians, teachers, dentists, or family pets. The origin of this special day can be found in a great website www.talklikeapirateday.com. Seems as thought 2 friends John and Mark started, in jest, the notion between them and a few friends joined in. Later they emailed Dave Barry, the syndicated columnist, and the rest, as they say, is history. 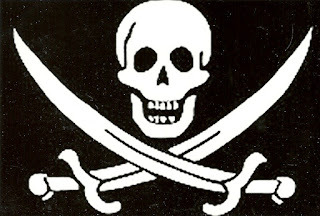 Actually, the history of pirates is a well- documented account of profiteering, violence and the dangers of the sea. Mostly, we hear the romanticized version, of swashbuckling seamen and buried treasures on deserted islands. Let us look at some facts about these guys. 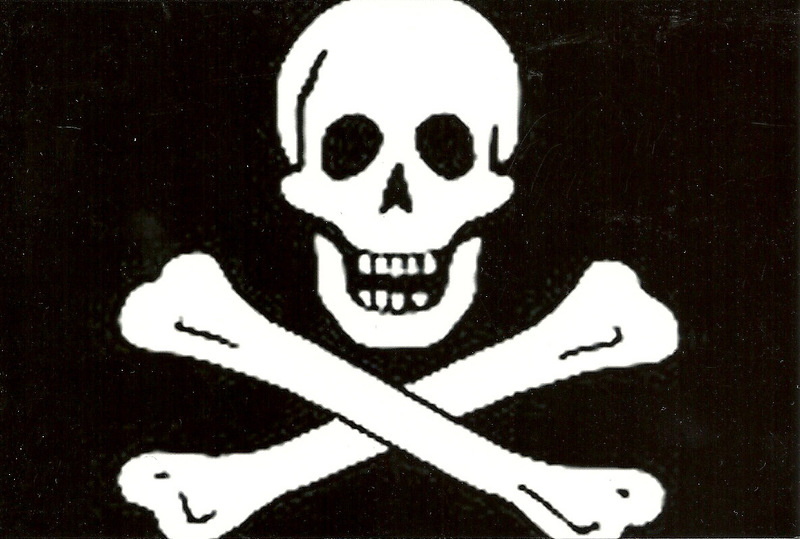 Firstly there is a difference between privateering and piracy. Privateers were privately owned and manned armed ships commissioned by a government to attack and capture enemy ships, especially merchant vessels. 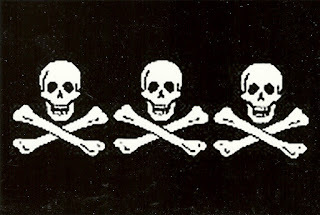 They flew the national flag of the country sponsoring them, adding additional symbol flags, such as red flags for warning and, good old, “Jolly Roger”, meaning bad things were coming your way if you resisted. Without flying a national flag, these ships were considered pirate vessels acting on their own. There are some accounts of ships flying national flags and banners of other countries (not their own) to entice unsuspecting ships and although this smacks of cheating, as long as they replaced the false flag with the correct national flag, this was considered ok under the rules of war. Privateers were also known as “sea beggars”. 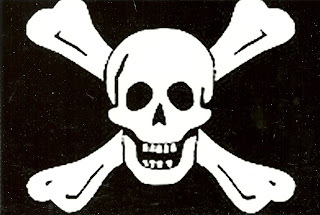 Pirate crews were not “shanghaied” and dragged into service, rather, when a well-known captain announced his ship was “going on an account”, members of his previous crews were given first preference and then others who wished to join came next. Another interesting fact is that these crews were actually very democratic. The Captain and the quartermaster were elected, this insured the fair treatment of the crew. Further, subsequent votes could be taken at any time. Articles of Agreement, signed by all, spelled out various duties and shares of any spoils. The crew pledged not to betray each other, desert or abandon ship in battle. In reality, most pirate crews preferred taking a prize ship without a fight. If the warned ship surrendered, there was little danger to the crew, however, if there was resistance it was met with much violence, the crew, to a man, would be slaughtered. Of course there needed to be a factor of intimidation to the victim ship. Pirate flags conjured up fear, accompanied with the reputation of the pirate captain. 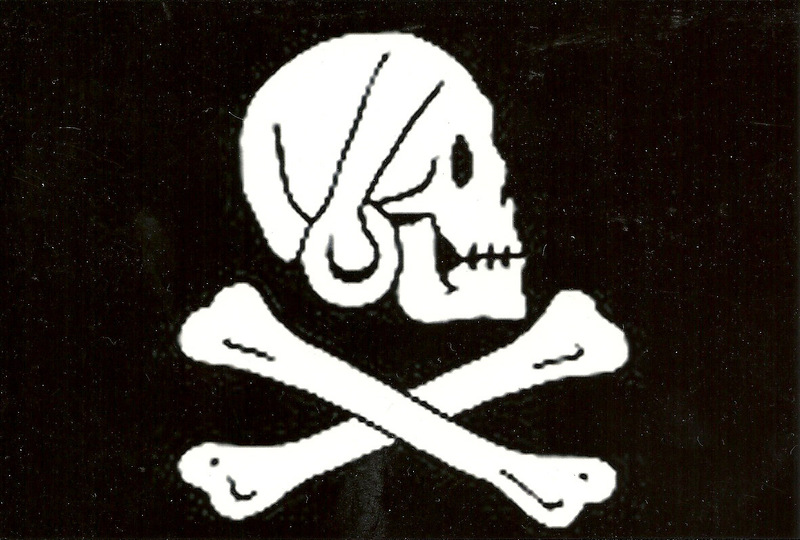 Each captain had a variation of the skull and cross bones and additional symbols were often combined. 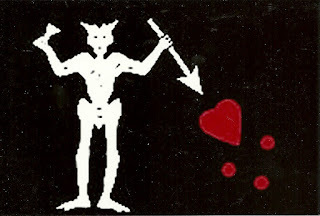 The skull was s symbol of death as was the crossed bones, dancing skeletons did a jig with death and weapons such as spears and swords promised violence was a’comin. 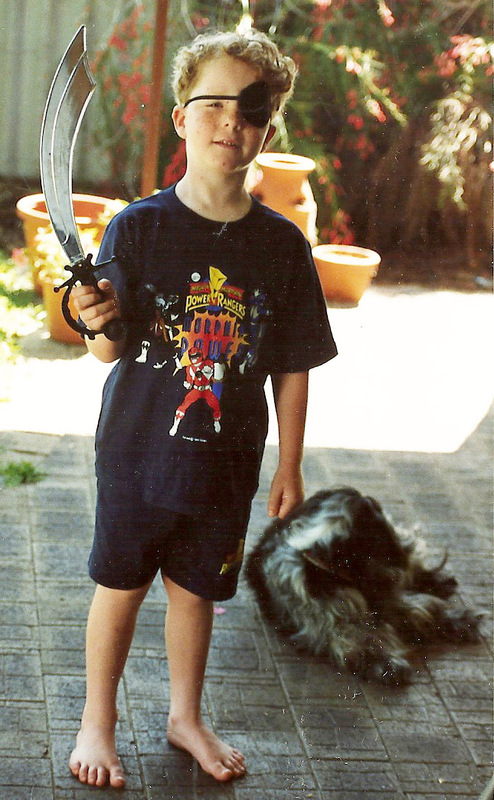 So, avast maties, think Johnny Depp, and unlock your treasure chest, get your map, and feed your parrot! Just after the turn of the 20th C industrialization had taken over most of the larger cities. Thousands of immigrants (some were trained, many were not) flocked to the cities seeking work. David Von Drehle (Triangle) writes that “nearly 100 or more Americans died on the job every day in the booming industrial years around 1911”. Regulations regarding worker’s safety were scarce and usually disregarded. Complaints by workers were ignored and attempts to improve conditions were met harshly. After-all, the dissident workers could be replaced almost immediately by others seeking work. The fire at the Triangle Shirtwaist Factory, the largest blouse- making factory in NYC, would prove to be a pivotal point in forcing reforms not only in New York City but in the rest of the US as well. On Sunday March 25, 1911 this fire became the worst workplace catastrophe in history. The entire tragedy took place in less than ½ hour. More than 146 workers perished. It is not certain exactly how many employees were present on the 9th floor of the factory, but there were 278 sewing machines on the assembly lines. Space was crowded with bales of fabric, cut and ready to assemble. Waste littered the floors. There had been some reform at the factory, following a newsworthy workers’ strike, but conditions were still dangerous. The overcrowding of workers and machinery, the pitiful fire escapes that could only accommodate one or two persons abreast and, unbelievably, locked doors to ensure workers did not leave early or remove scraps or other materials from the factory. How could this have been possible? At the time factory owners were usually wealthy businessmen who looked for investment potential. Many owners owned dozens of factories in many cities. The management was left to supervisors whose pay was a reflection of the amount of product that the factory workers produced. Therefore everything possible was done to ensure maximum output with minimal overhead. This included the salaries of the workers. There was also the political structure, which turned a blind eye to the plight of factory workers in favor of the owners, who would have naturally contributed to the campaign chest of the politicians. Included in the network of allies were building inspectors, and even police and other city employees of rank. Today there are laws regulating working conditions and oversight by the public and the press. However, there are still dangerous working conditions. With regularity there are mining disasters, heavy equipment failures and issues with faulty machinery. The cheap products we have come to enjoy, come at a price. That price is a hefty one. In the next installment on this issue we will view factories and their conditions abroad. Most of you know, by now, that I volunteer in the Children’s Room of the Santa Fe Library. I am amazed every week by the number of volumes we have for children of all ages and the wide variety of topics these books cover. Last week I happened upon a book, quite by accident. Here was the story of the DuPont chemist who discovered the formula for synthesizing the fiber we know as Kevlar. 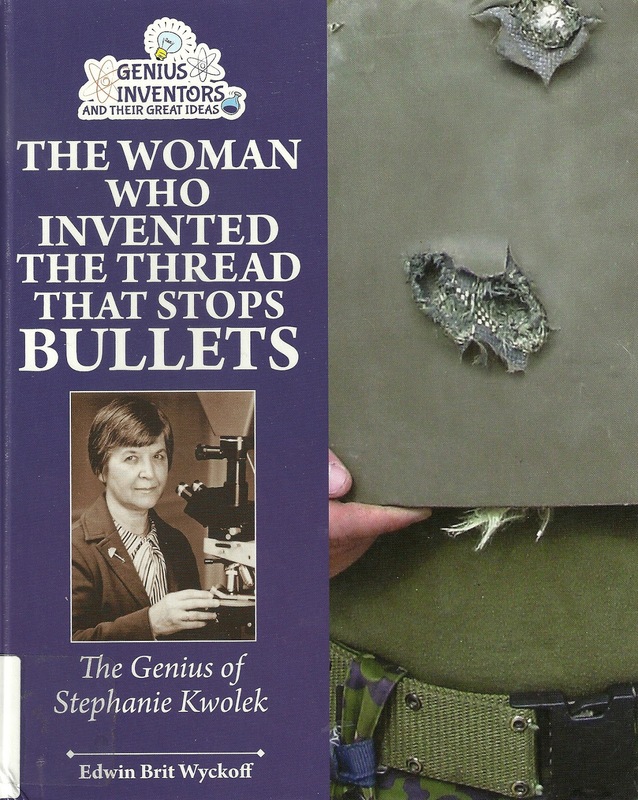 Born on July 31, 1923 in Kensington, Pennsylvania, Stephanie Kwolek had intended to become a physician. She majored in chemistry at the Carnegie Institute of Technology, graduating in 1946. Working at DuPont was meant to be a temporary stop on her way to a medical career. She would remain at DuPont as a chemist for 40 years. In 1964 she led a group of chemists searching for a lightweight, super strong fiber for the manufacture of automobile tires. Lighter weight tires could reduce gasoline consumption and there was anticipation of a shortage in the future. More than 100,000 chains of chemical polymers were produced but none had the desired strength. Poly-paraphenylene terephthalamide solution was cloudy and thinner than other tested solutions. Beneath the microscope the chemical chains were straight and in alignment after spinning. Testing proved the fibers to be five times stronger than steel. In 1966 Kwolek and Paul Morgan were granted patents for the fiber, It would take five more years of research for DuPont to produce a fabric that could stop bullets. More than 200 products are made from these super strong fibers.